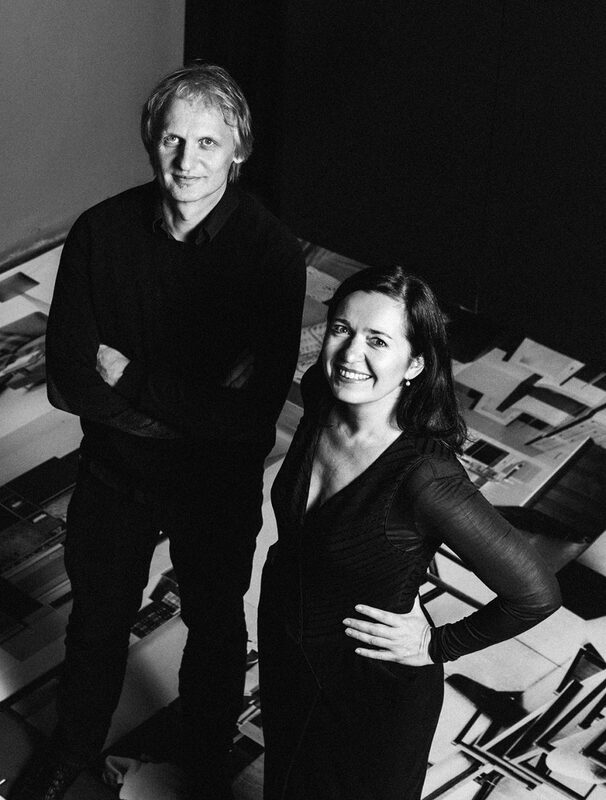 Together, architects Rok Kuhar and Katjuša Kranjc run the architectural design studio RAKETA. Much of their work, the application of a very specific design sensibility, revolves around achieving an optimal sense of balance – in everything they do. Extensive experience on a wide range of engaging structures and interiors translates into a commanding passion for creating beautifully functional spaces. Interiors – from hotels and restaurants to theatres and service venues – demands special consideration of relationships between the public and private, between the precision of utility and the flowing lyricism of poetry. This, combined with a distinct awareness that their interventions leave a permanent mark on the environment. There’s a distinct respect for context – the context they approach, negotiate each time; or the context they create, introduce where none existed before. It’s about enriching and animating space and spaces. Attention to details and materials, and the application of innovative methods and technologies constitutes a truly comprehensive approach to solving design challenges; and to creating living environments that do precisely that – live.